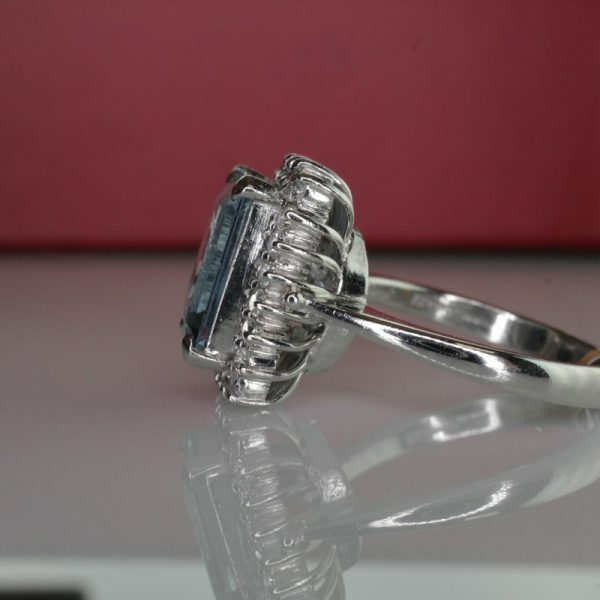 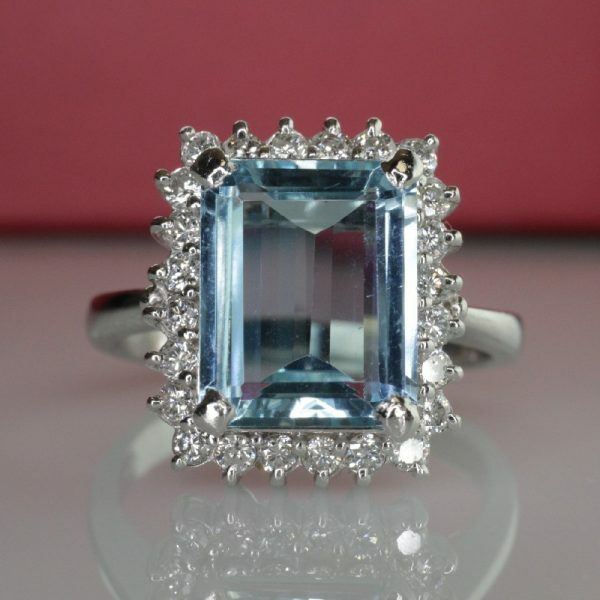 Beautiful emerald cut aquamarine surrounded by a border of sparkling round brilliant cut diamonds. 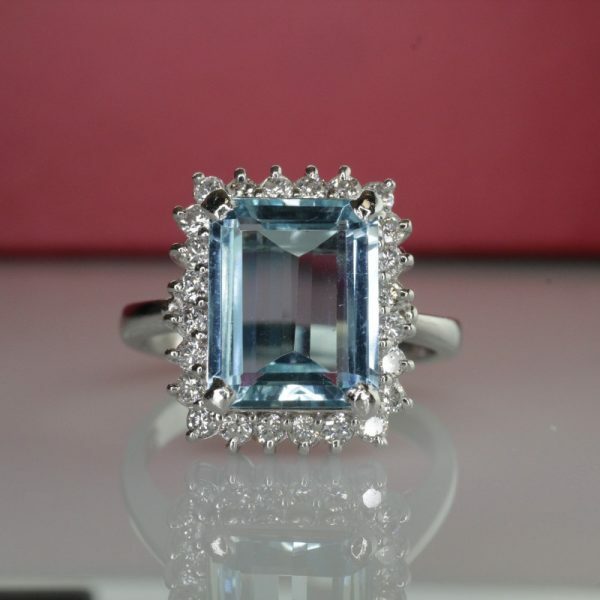 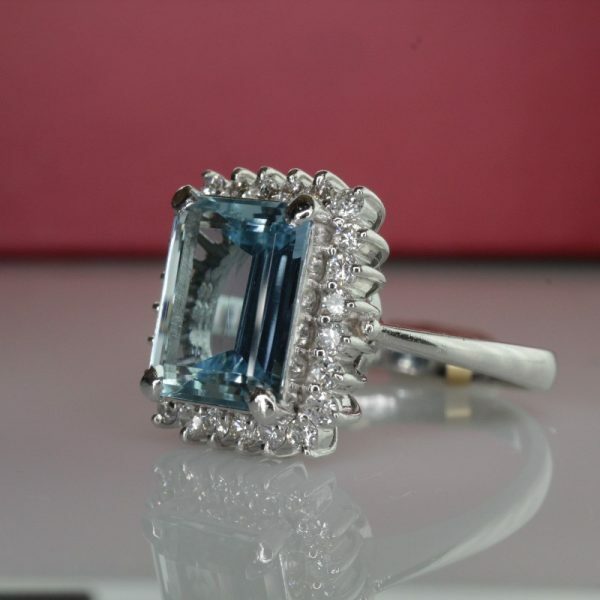 The Aquamarine measures 10.5 x 8.5mm and is 2.8 carats. 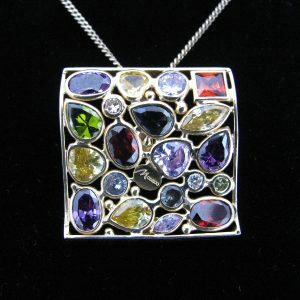 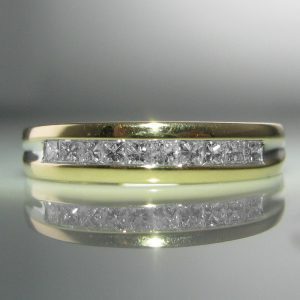 The surround of 24 diamonds have a total carat weight of 0.45 cts. 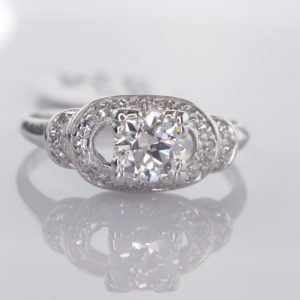 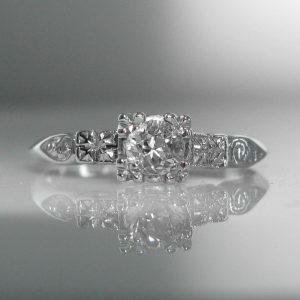 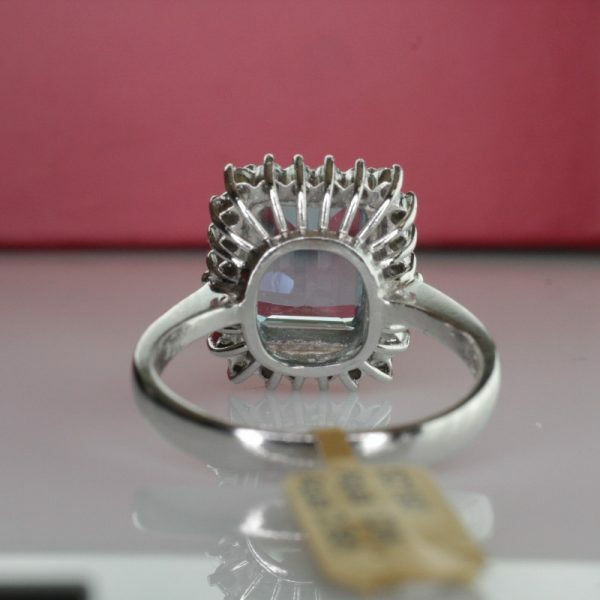 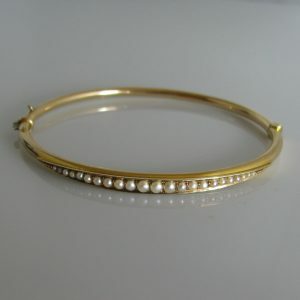 The ring is currently size N but can be resized up or down as required by you. 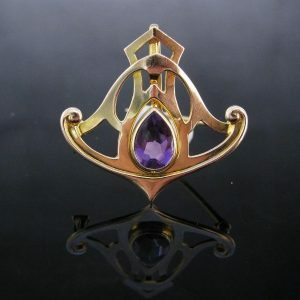 The overall dimensions of the head are 15.7 x 12.3 x 8.8 mm.